On 5 June 2018, Highview Power launched the world’s first grid-scale LAES plant. 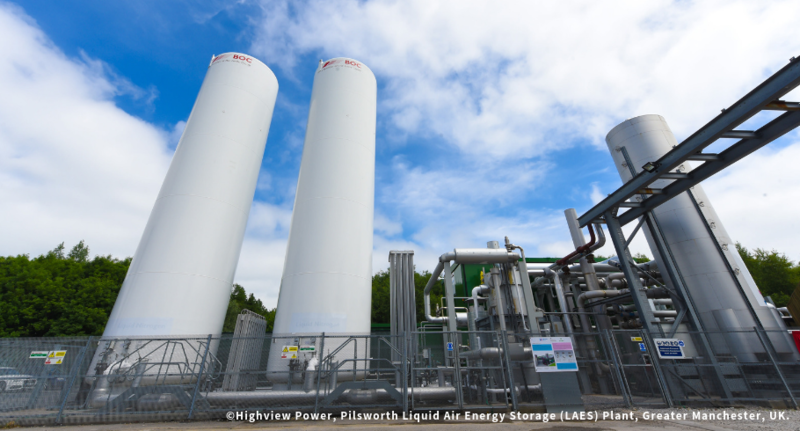 The 5MW plant at project partner, Viridor’s, Pilsworth land site in Greater Manchester, UK, is capable of powering ~5000 homes for several hours and will demonstrate how LAES can provide a number of reserves, grid balancing and regulation services. In addition, the plant will convert waste heat to power from the onsite landfill gas engines. LAES technology can be scaled up to hundreds of megawatts which would provide enough electricity to power urban areas the size of small towns to large cities.